Dr. Life and his incredible transformation has garnered much attention from the media and medical professionals around the world. A short time ago, Dr. Life sat down with Brad Popkin, of Edge and Sports Illustrated to discuss his views on aging and hormone replacement therapy. Here’s a snippet for you. Edge: What are the benefits of using HRT? Dr. Life: The benefits are enormous. It improves men’s energy levels. Most come in [between ages] 40 and 50 and they don’t have the same energy they used to have. I can predict that these guys will have low testosterone levels. By correcting this, it improves their energy levels in about a week or two. When men and women age, they lose muscle mass and strength. This is considered to be a normal part of aging. It turns out that this is the number-one reason people end up in nursing homes. It’s completely avoidable by maintaining healthy testosterone levels and going to the gym, doing resistance training. People can gain muscle mass as they age with healthy hormone levels. Another huge benefit is that it actually reduces men’s risk for prostate cancer. Edge: What’s the hardest obstacle to overcome when a person ages? Dr. Life: I would say there are two objects. Eating properly, making sure what they put in mouth isn’t killing them. Getting enough exercise, moving around. Those are the deal breakers for most aging people. They buy into the retirement notion; when they hit 65 they quit doing and moving. That’s the worst thing anyone can do. They really need to continue with any good exercise program with cardio and resistance training. This isn’t just aging people, [it’s] a problem for the whole country: the obesity epidemic and a type two diabetes problem. This is the first generation expected to have a shorter life span than their parents. 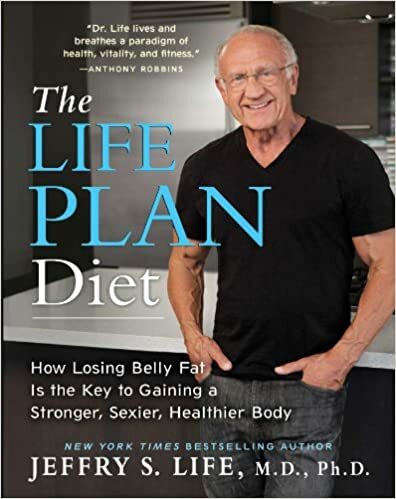 If you’re looking to redirect your life in regards to #optimalhealth and getting back on track to healthy aging, don’t forget that Dr. Life is the author of three amazing books: The Life Plan, Mastering the Life Plan, and The Life Plan Diet.